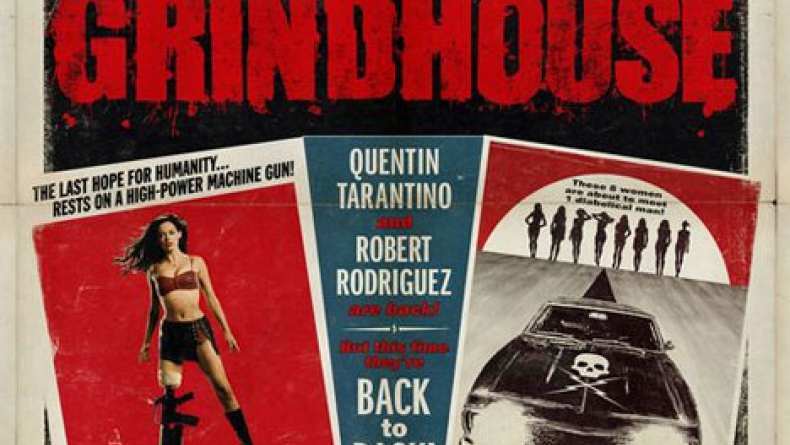 Trailer for Planet Terror, an installment in Grindhouse. Married doctors William and Dakota Block (Josh Brolin and Marley Shelton) find their graveyard shift inundated with townspeople ravaged by gangrenous sores and a suspiciously vacant look in their eyes. Among the wounded is Cherry Darling (Rose McGowan), a go-go dancer whose leg was ripped off during a roadside attack, and El Wray (Freddy Rodriguez), a mysterious drifter with a past. Cherry may be down on her luck, but she hasn't danced her last number... As the virus turns the invalids intoenraged aggressors, Cherry and El Wray lead a team of accidental warriors into the night, hurtling towards a destiny that will leave millions infected, countless dead and a lucky few heading for the last safe corner of Planet Terror.